Scooby-Doo, the ultimate favorite dog in all-time cartoon, with only Disney’s Pluto to give a tight competition, serves as a nice subject for drawing as well. It does not seem to be an easy job when you think about his unique expressions and complex postures, but drawing a neat picture of this Great Den is not really that difficult. Here you can follow the step-by-step instructions for drawing Scooby-Doo and see how it turns out. 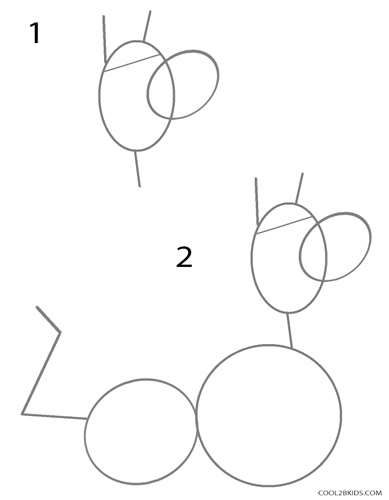 First, draw an oval, standing perpendicularly as shown in picture 1 (this will be the head of your Scooby), followed by another, smaller oval overlapping the first one. Now add the small lines (Picture 1) inside and around the first oval; they will eventually serve as the outlines for the ears, eyes and neck. 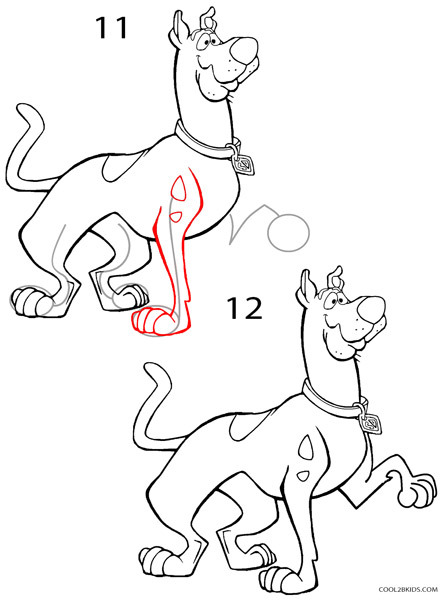 Check Picture 2 and draw the two circles as shown for Scooby’s body along with the “V” shaped line for his tail. Now it’s time to work on the outline of the legs, the front legs for now. 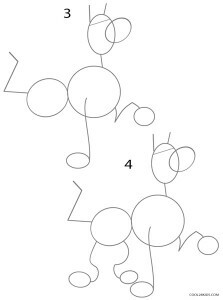 Check the two flexible lines with the small circles at the end as shown in Picture 3. 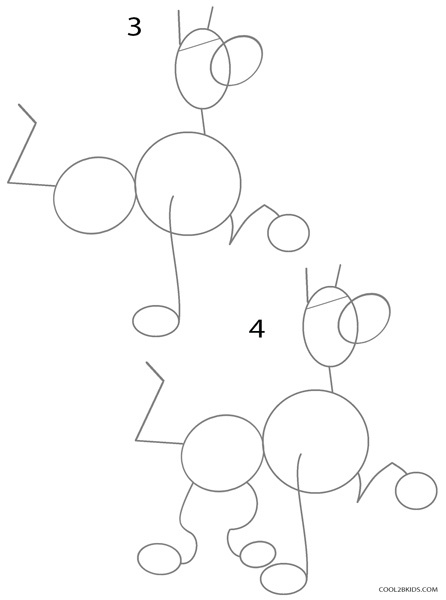 Next, work on the hind legs in the same manner (Picture 4). Time to start working on the fair picture as the outline is now done. 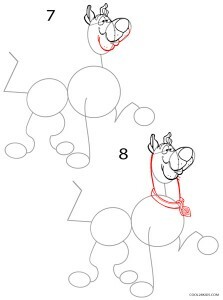 Follow Picture 5 to begin with the nozzle and nose of your Scooby. 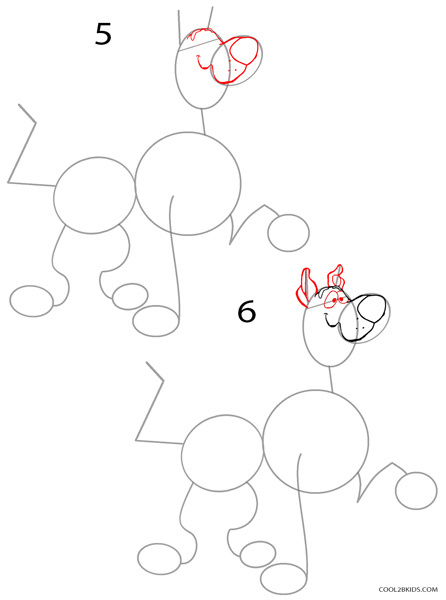 Check Picture 6 and draw his round (startled) eyes and pointed ears. 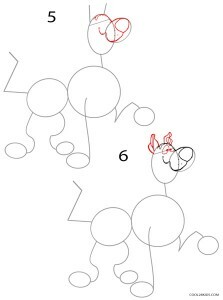 Work on his mouth as shown in Picture 7. 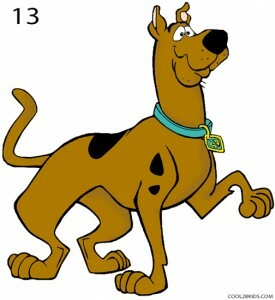 Now see picture 8 to draw his neck along with his characteristic collar, tagged with his initials “SD”. 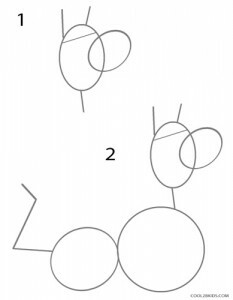 Join the two large circles drawn in step 1 to draw the body. 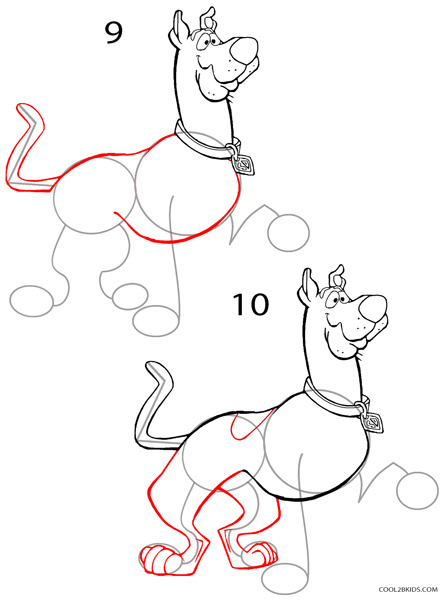 Next, draw the tail using the jagged line made in step 1 as your guide (Picture 9). 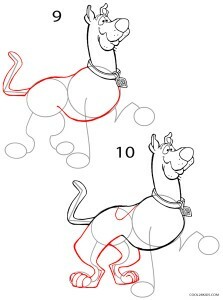 In the similar manner, work over the outlines drawn in step 2 to draw the strong hind legs of your Scooby (Picture 10). Check out how nicely the picture is coming together, with the only part left now being the front legs. 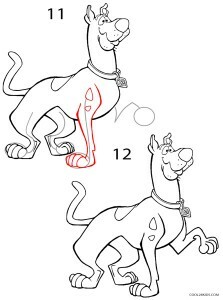 Follow Pictures 11 and 12 to draw the front legs and paws. Don’t forget to make the blotches, one on his back and a couple around the upper part of his right front leg. 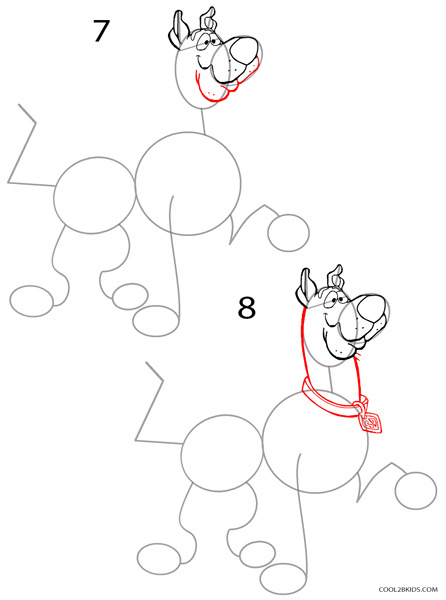 Here comes the fun part as now you get to add color to your masterpiece. You must already be familiar with the exact colors to be used, but take a look at Picture 13 to find out the accurate shades to make your drawing perfect. Don’t worry if you find it a bit hard to make it perfect at your first attempt. It might take a few attempts to get the best out of you. 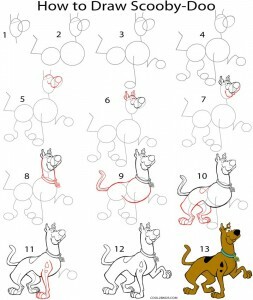 Once you are done with this one, you can try your hand at some of the other characters from the show to get the whole team together.